This post is for all Android users who migrated from Java or Symbian phones always miss their favourite Java and J2ME applications. 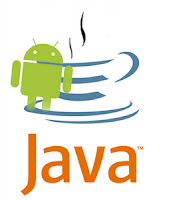 However, there is a possibility to run the Java application, if you are using Android 1.5 to 2.3. If you want to use Java applications and enjoy Java games on your Android, you can download and install JBED Android Java Emulator. According to me, you can run any Java games or applications on Android using the JBED. You can easily download the application free from the official link. JBED is already tested on HTC Wildfire and it is obvious that it will work on other Android devices as well. JBED is an .apk Android application that allows you to run .jar and .jad games and application on your Android Smartphone. You can easily download and install it on your Smartphone to run any Java applications. 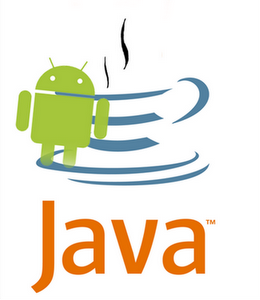 Android phones can be installed with more then 40, 000 Java games and applications using JBED. The application also comes with Android J2ME MIDP runner. In the following steps, I will tell you how to run Java and J2ME applications on your Android phone. Now, you do not have to forget or leave your Java applications that you were using from a long time. I. Download JBED for your Android Mobile. II. After downloading simply install the Jbed.apk app/file on your android smartphone. III. Launch the application and click on SD card from the menu. IV. Choose the JAR file that you want to install and run. V. Now Install the Java apps or game that you want to use. VI. Click on the Java apps that you have installed to run them. Now you have done. The app compiles and optimizes the Jar files and asks the user whether he wants to use it or not. It also displays the path of all the Jar files that are compiles in its database for quick access. You can install and run any Java application by following the above steps. If you see some lines or faded screen while installing the JAR files, that means your device is not fully supporting it. Restart your phone and close any other apps, and try again. If the same problem occurs again then please uninstall JBED and don’t use it. This is a simplest way to play/run java games and apps on your android smartphone. If you face any issues or problems with JBED you can post your doubts or suggestions on Comment Box. As per feed backs the app is not working on some android smart phones, I trying to find an alternative way to run java apps on all android smart phones. I would post about it here as soon as possible, so keep visiting this site, wish you all the best.